Soft, smooth, glowing skin is just one step away! 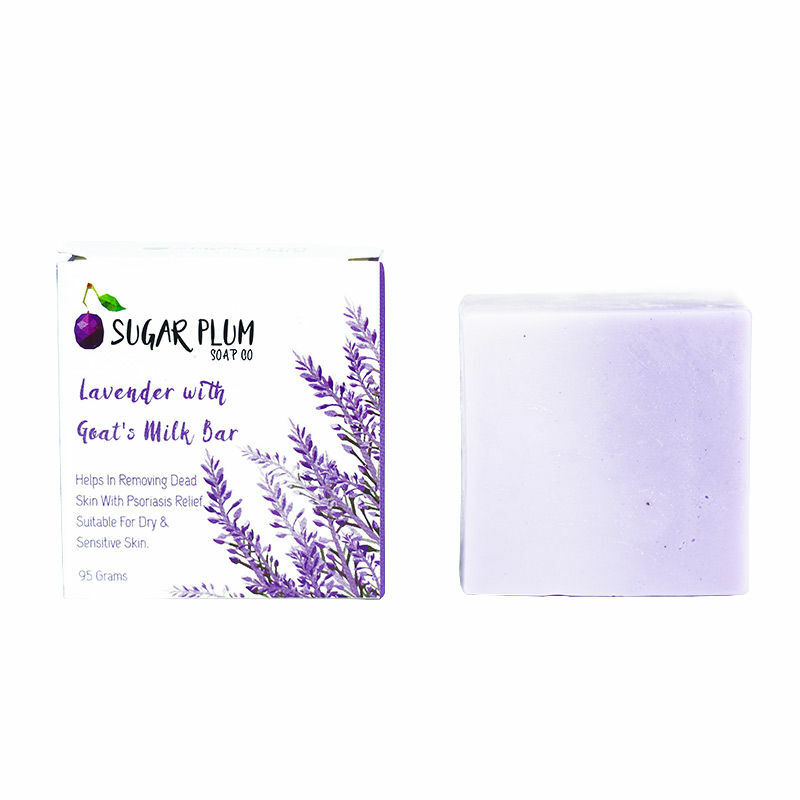 Formulated with some of the best skin benefitting natural ingredients such as goat milk and lavender essential oil, Sugar Plum Soap Co. 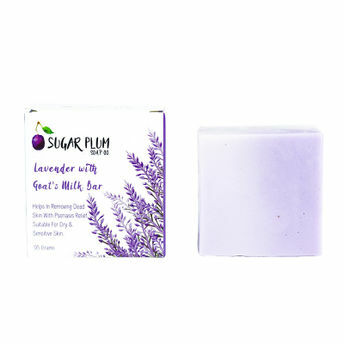 Lavender Goat Milk Bar will give you the skin you've always dreamt of. Goat milk contains alpha hydroxy acids which help remove dead skin cells and leaves the skin smooth and flawless. Vitamin rich, goat milk's moisturising and nourishing properties make this soap a must-have. It is a gentle cleanser and a natural moisturiser. This soap effectively fights acne and delays the appearance of ageing signs. It has skin renewing and exfoliating properties, which helps to treat skin conditions such as eczema and psoriasis. Lavender in it reduces anxiety and emotional stress, while rosemary oil heals burns and wounds. This soap improves the sleep pattern and restores skin's past glory.